It may not get as hot in our beautiful state as it does in some other places in the world, but it still gets plenty hot. And when that Colorado summer sun is beating down on your home, the last thing you want is for your air conditioner to stop working. If that happens to you, though, one call to Premier Heating and Air will take care of everything! We offer emergency air conditioning repair to Denver-area homes, so no matter what time of the day or night the cool air stops in your home, we’ll be there to go it going again. Our Colorado air conditioning repair service team knows that when your system breaks down, you want it going again as soon as possible. That’s why we make sure our team stays up-to-date on all the latest systems as well as older systems that may still be in use in some Denver homes. That way, no matter what kind of unit we encounter, we can complete the emergency air conditioning repair work right away. Our goal is to get the air conditioning repair done right the first time, and be on our way. Air conditioning repairs shouldn’t drain your budget! That’s why when you call Premier, you can trust that you are getting the best competitive rates on the air conditioning repairs that you need. We don’t overcharge you for an emergency air conditioning repair or parts for air conditioning repair service. 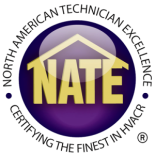 You just get great customer service from NATE certified technicians, and we’ll perform every job to the best of our abilities at the best competitive rates. Now you’ll never have to hesitate to call for air conditioning repair service when you need it! Contact Our Team Today for Emergency Air Conditioning Repair in Denver! We also offer free estimates. We look forward to hearing from you!